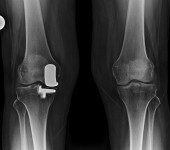 Partial Knee Replacement - William Jay Bryan, M.D. Patterns of knee arthritis can vary greatly. 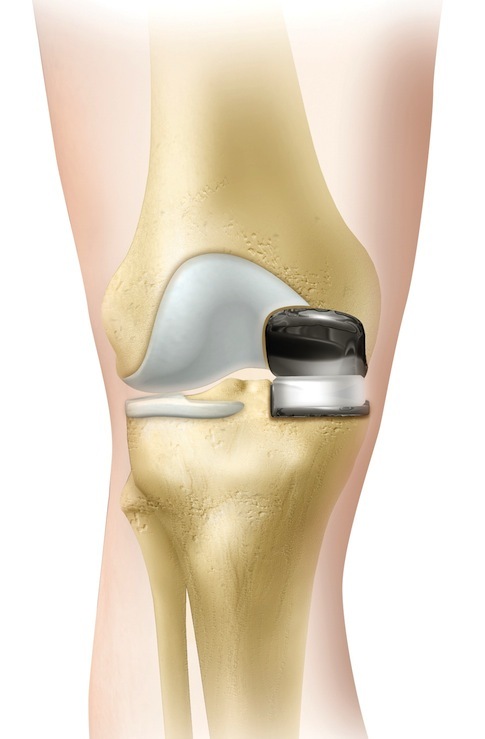 Most commonly arthritis first involves wearing of the articular cartilage on the inside (or medial) compartment of the knee. This arthritic wear can cause excruciating pain over the medial knee with standing and walking. 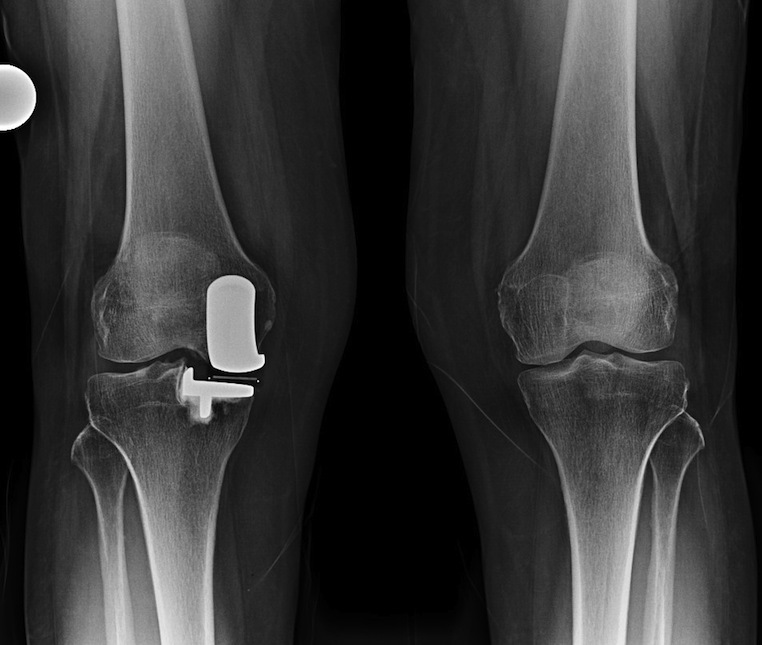 When x-rays show that the wear is limited only to the medial compartment, and conservative measures such as oral anti-inflammatories, protective braces, and joint fluid therapy injections are no longer working, Dr. Bryan feels that it is desirable to replace the affected area only. 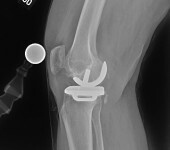 This means that the patellofemoral (kneecap) and lateral knee compartments are kept intact to function normally. 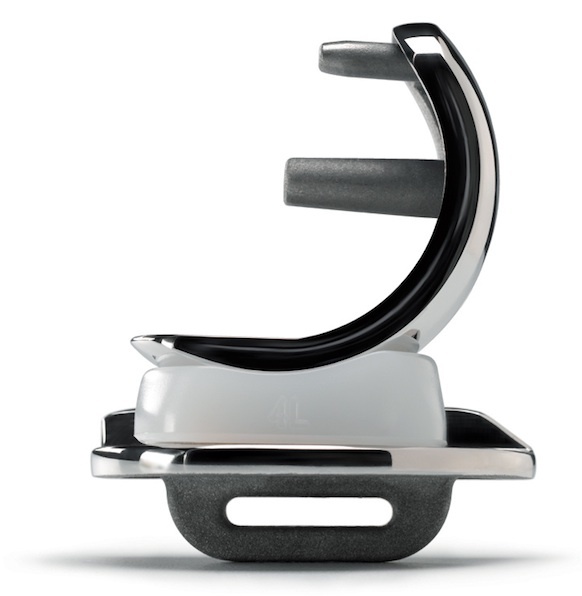 Most important in a partial or unicompartmental knee prosthesis is that the critical anterior and posterior cruciate ligaments (ACL & PCL) within the knee are still intact. A minimally invasive procedure requiring an outpatient or one night hospital stay. 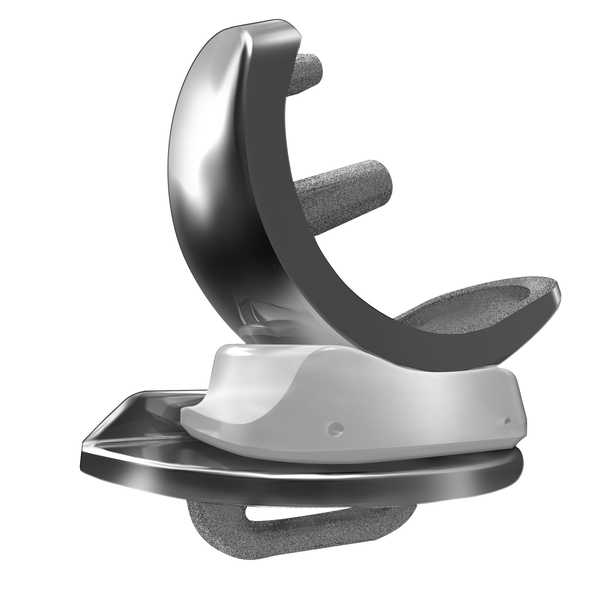 A knee which retains all of the normal ligaments and tendons. A multi-model peri-operative pain control program. A rapid recovery program with return to almost normal function in 6-8 weeks. 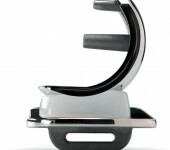 Studies show that the majority of patients continue to enjoy a good result after 10-15 years. 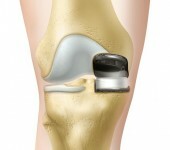 Dr. Bryan has had extensive experience with partial knee replacements. 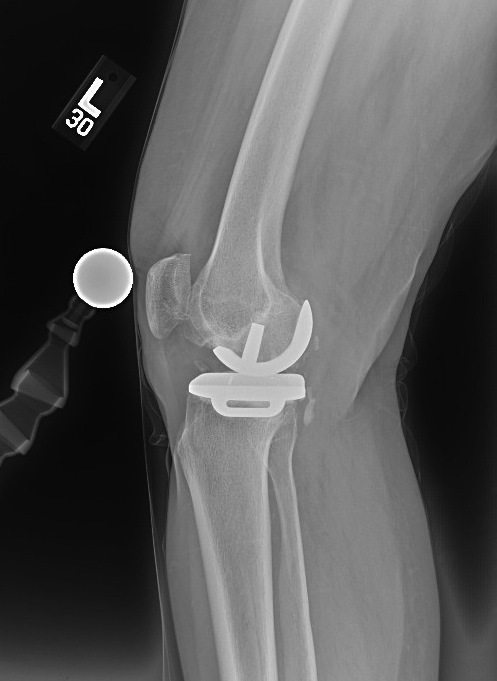 While partial knee replacements may not be appropriate for every patient, Dr. Bryan will analyze each patient with isolated medial compartment arthritis carefully to determine their capability of successful partial knee replacement. Looking critically at those who are significantly loose jointed or significantly obese will help determine if those patients would do better with an all-encompassing total joint replacement.